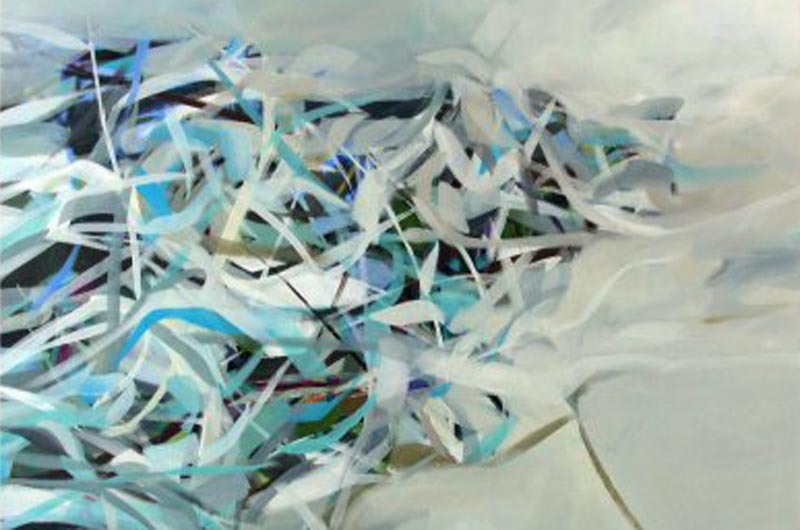 Sea Winds by Susan Morosky is part of exhibit at Louisa Gould Gallery. Everyday objects are the subject for the Louisa Gould Gallery’s annual art show entitled Abstract Vision: The Colors and Forms Behind the Everyday. The exhibit opens on Friday, August 29, and the gallery hosts a reception for the artists from 5 to 7 p.m. on Saturday, August 30. The gallery is on Main street in Vineyard Haven. This year’s exhibit showcases the work of Tracy Spadafora, Susan Morosky, Cherie Clinton, Linda Cordner, Charyl Weissbach, Kellie Weeks, Kay Hartung, Laura Roosevelt and Roberta Gross. Ms. Gross will lead a curatorial discussion of the exhibit on Sept. 5 at 5 p.m.